And How You Can Eliminate Five Critical Mistakes, And Instantly Maximize Your Win Ratio. Differentiating Yourself And Presenting A Professional, Compelling Cleaning Proposal Package!! Let's be honest, how many times are you competing with other cleaning companies and the customer only focuses on price? As much as you discuss the quality of your service or what you can do for them, the customer does not care. They may seem to show characteristics that they care about quality, but in the end, price wins them over. We hear this all the time from our current consulting clients. Well, I am about to share with you what you can do IMMEDIATELY to change the perception of the customer, differentiate your cleaning company from the rest and provide the customer a pleasant pre-sale to post-sale experience due to a compelling cleaning proposal package! Do you really believe there is something so fundamentally compelling about your company origins that a customer will be persuaded to buy? By implementing this approach you are immediately demonstrating to the customer that you are company or product centered vs customer centered. Most customers buy because they are looking for solutions to pressing problems not because of what year your cleaning company was established. People view major buying decisions with anxiety. The bigger the decision, the greater the anxiety. What most cleaning companies do here is they do not help minimize the customer’s perception of the risk of moving forward with their cleaning company. Ask yourself, am I demonstrating that I understand my client’s problems, issues, needs, opportunities, objectives, or values? You may be surprised, but most cleaning proposals contain no recommendation or solution at all. What the proposal contains instead are descriptions of products and services. Are you currently documenting in your cleaning proposal what the current challenges of your client are and what your solution will do to help overcome those challenges? Remember you may write a proposal that is completely compliant with the customer requirement, recommend the correct solution, offer the lowest price, and still lose. Why? The reason is a competitor made a stronger case that their approach offered a higher return on investment, lowered their total cost of ownership, increased their profitability, provided a faster payback, or some similar measure of value that matters most to the customer. Ask yourself do your proposals contain a compelling value proposition? Most cleaning proposals are great in detailing what they are going to do and at what cost, but do not provide the substantial evidence to help answer the question for the customer of “Can they really do this?” I am sure you are providing references, testimonials, resumes, but are you taking it to the next level? 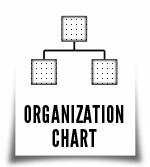 Are you minimizing the risk the customer may feel by moving forward with your company by providing Transition Plans, Staffing Profiles, Training Plans, Quality Plans or any other evidence that is focused on areas your customer cares about. Remember at the end of the day your job is to make your customer’s job easier, bottom line!! Avoiding these five mistakes is a great start, but it is just the tip of the iceberg. The question then becomes how do I take these concepts and integrate them into a professional, compelling cleaning proposal? That is where we come in. We have created the My Cleaning Proposal package that follows the basic structure outlined above - first summarizing the client’s needs, then showing their potential gain or improvement, third recommending your solution, and finally substantiating that you can do the job. Efforts that will lead you to SEE AN INCREASE IN YOUR WIN RATIO!! WIN MORE CONTRACTS...with complete and professional looking proposals! 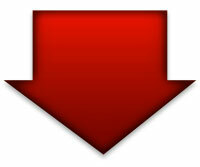 STOP LOSING MONEY...by not underbidding! 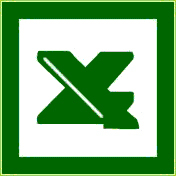 INCREASE YOUR PROFITS...with an easy to use profit-margin calculator! 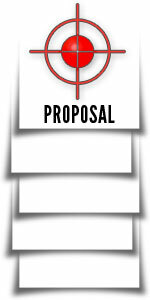 PROFESSIONAL PROPOSALS...customizable to your specific client cleaning requirements! CLEANING INDUSTRY SPECIFIC...proposal package is tailored with cleaning industry specific resources! STAND OUT FROM THE CROWD...outline what makes your cleaning company different! CREATE YOUR VALUE PROPOSITION...focus on the client benefits and the value your solution will provide! MAXIMIZE STRATEGIC PARTNERSHIPS...form strong and healthy alliances to grow your cleaning business! BRAND YOUR COMPANY...add your logo and deliver your unique message! BE AN INDUSTRY EXPERT...utilize the resources available to be a consultant and teacher in efforts to better serve your client needs! CLIENT PIECE OF MIND...provide justfication on why clients should transition over to your cleaning company! COMPATIBLE DOCUMENTS...just in case you do not use Microsoft Office! NO SOFTWARE INSTALLATION...download and save to your computer! 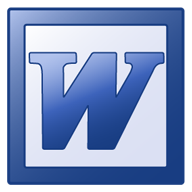 Client Profile - Outline business challenges and associated solution and benefit. Scope of Work/Specifications – Adapt the specifications to your client and/or opportunity. Professional Organizations – Share with your clients which professional organizations you partner with to better understand and meet their cleaning requirements. Investment/Pricing – What investment will the client be making by partnering with your cleaning company. Use this format if you prefer to outline the cleaning specifications of your client in an easy to read Microsoft Word table format. 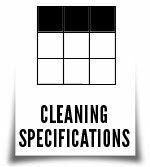 Use this format if you prefer to outline the cleaning specifications of your client in an easy to read Microsoft Excel format. Define quality criteria and standards to achieve. 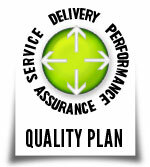 Includes quality objectives and quality assurance plan. 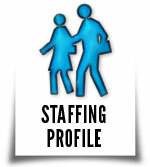 Demonstrate to your client how you plan to service their cleaning requirements by outlining a staffing profile. Includes amount of staff needed, hours, and schedule. Differentiate yourself from your competition by outlining the training plan of your staff. 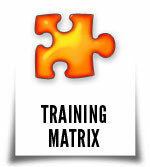 Includes course, purpose, methodology and frequency. Encourage your client to take action by feeling comfortable your company has a methodology and process for transitioning from current cleaning company to yours. Clients want to see how your cleaning company will support their needs from Senior Staff to cleaning staff. Clients who prefer a short, concise and effective agreement. Clients who prefer a more formalized agreement. Interested in working with partners, primes or subcontractors to support a specific cleaning Request For Proposal (RFP)? Need to execute a formal Teaming Agreement. Includes roles, relationship of both parties, responsibilities, terms, etc. Increase market reach, break down barriers to entry in market and form a legal entity with another company for the purpose of expanding your business influence and creating a more powerful market presence. Includes purpose, responsibilities, scope, Management, profit and losses, etc. 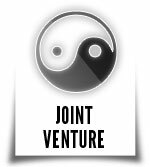 Create a confidential relationship between specified party on confidential or proprietary information before formalizing a Teaming, Joint Venture or other business opportunity. "Since I ordered this system I have learned that I was not providing my customers with a full, big picture of what I could do for them. 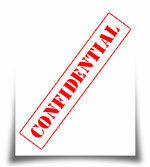 I am a General Contractor and I decided to expand my business into cleaning because of the consistent cash flow. After purchasing The My Cleaning Proposal package I was able to secure my first cleaning contract with an Apartment Community and I am making $ 1,200 a month in profit. I was able to use the pricing calculator that comes with the package and it has simplified my life. This has definitely been a good investment for my business!" "I lost a deal because the customer was asking for many of the documents included in the My Cleaning Proposal Package and I did not know where to begin and how to create. When I found your website it was perfect timing. I feel comfortable knowing if it happens again I will be prepared. Thank you!!" "I have a Full Time job but my wife and I decided to start a cleaning business to supplement our income. We bought your My Cleaning Proposal Package and have already secured our first small account. I can tell you the two of us are not complaining on the extra money we are bringing home monthly of $ 510 for cleaning this small church. We are excited about the possibilities. I have no problem spreading the word. Thanks!" "I have been looking for a way to make my cleaning company shine and your My Cleaning Proposal Package will help me do that. Keep it coming." "When I met with a potential client and presented the proposal, no joke, they mentioned that this was the most professional cleaning proposal they had ever seen and were impressed with the attachments that I included. To be honest I think they were surprised that I presented such a great proposal and were not expecting the level of thoroughness. 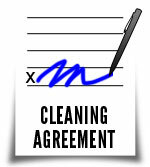 I closed the deal and I am looking forward to using the My Cleaning Proposal system again and again. Thank you and great job." 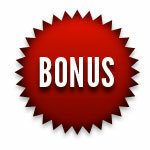 Price your cleaning bids in an easy, effective manner. Input your own variables (ie. Hours,salary,supplies, etc) and calculator will figure it out for you. Includes different profit margin targets. A necessity when you need to validate employment history for a potential cleaning or staff personnel. A customizable employment application. Add your company name or logo. Recognition of your cleaning staff is critical for success. 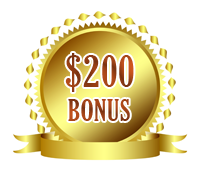 Begin implementing the certificate as part of your Recognition Program. It is integral to have a process in place to make sure your employees are performing to the levels that are expected and track/measure their performance in the different skill set areas. Are you interested in selling or buying a cleaning company? Includes partnership interests, non-compete clause, assets/liabilities, transition, payment schedule, etc. FREE Internet based Customer Relationship Management (CRM) resource which is key to successfully managing your sales, marketing and customer service initiatives. one time payment of $139! There is a saying that goes, "If you always do the same thing, you will obtain the same results. 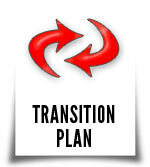 If you want to obtain different results, you need to do things differently." It is time for you to take action and a take a step towards winning more NEW business. Just click the big BUY NOW button below for Instant Access. 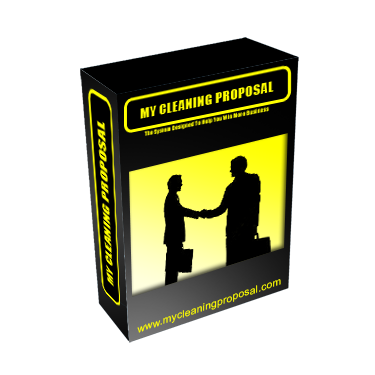 Note: The My Cleaning Proposal Package are downloadable files. No physical products will be shipped. After you order, you will get INSTANT ACCESS to download the My Cleaning Proposal Package and all the bonus gifts onto your computer. All forms and documents from My Cleaning Proposal are provided “as is” without warranty of any kind, express or implied. My Cleaning Proposal does not provide any legal advice, and assumes no responsibility for the enforceability or effectiveness of its documents. Users should consult with a lawyer if there is any question as to the appropriateness of the documents for their particular situation. Sign Up FREE to receive "50 TIPS TO INCREASE SALES" along with secrets on how to Grow Your Cleaning Business!